Reel Talent Productions Keeps the Cameras Rolling This Summer. 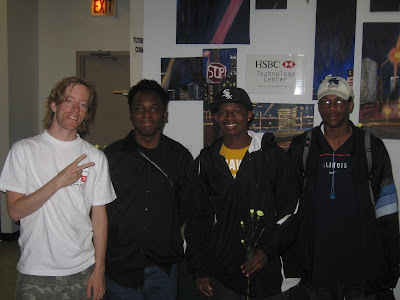 The Cabrini Connections' program offers a lot more than the one on one tutoring/mentoring structure that most are familiar with. 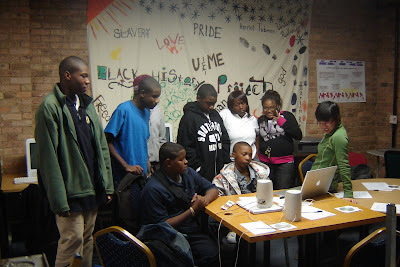 In the Cabrini Connections' program we offer what are similar to electives in high school for our youth as extra learning opportunities in the form of Clubs. Currently we have an Art, Writing, Technology, and Video and Filmmaker's Club that any and all of the students that are enrolled in the one on one tutoring sessions can sign up for. All of the Clubs do the majority of their work during the academic year, and have the option of continuing on throughout the summer months. This summer our Video and Filmmaker's Club, led by Northwestern University alumni and Cabrini Connections' volunteer Shu Ling Yong, decided to not only continue on this summer, but to apply for a Department of Family and Support Services' Mini Grant. The grant was approved in the early summer by the City to fund the Club's project of researching and putting together a documentary about health of young females and how their male counterparts seem to have more opportunities than they have when it comes to sports and fitness. The Club's leader, Shu Ling Yong, recruited two co-leaders for the summer project, Jane Wong and Jon Vogel and together they interviewed and screened their three student interns. Cabrini Connections' veteran students Melissa Young and Marquita Fisher, along with prospective Cabrini Connections' student Alisha Ward have already begun their work of researching, interviewing, and filming for their project. They have also been working closely with the staff and participants of the Girls In The Game organization to gain more knowl edge and take in key pointers for their summer project. The student interns stopped into the Cabrini Connections' program today to do some work on-site and was visited by a very special guest. 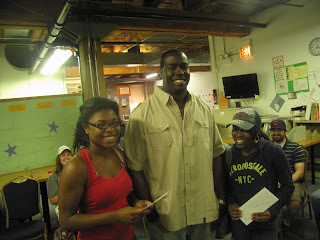 Former 1st NFL draft pick and Chicago Bear, John Tait, stopped into the program. I was able to show him around the facility, share more about the Cabrini Connections' program, and he was able to interact with the group. Before leaving the group left the facility they paused for a group picture with the special guest. Mr. Tait told me before exiting the building, "Keep up the great work!" 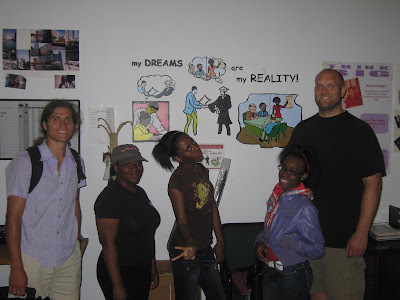 And with more consistent connections to the necessary resources to be successful...we plan to! During the summer months when the activity in the program slows down in comparison to the school year, it is nice to not only have the students and volunteers come into the facility, but it's also nice to see the students and volunteers continuing to work hard on perfecting their craft. 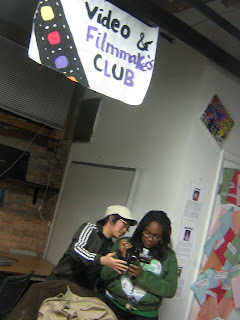 The Video and Filmmaker's Club continues to be one of the most popular and productive extra learning opportunities in the program, and I can't wait to see their finished products at the end of the summer. We also would like to thank John Tait for stopping in to say hello! I would like to start off by saying that, WE SURVIVED!!! 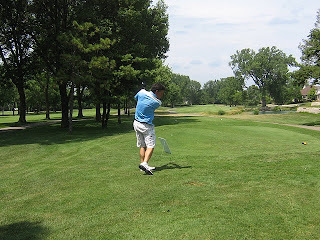 With temperatures reaching, if not peaking, 100 degrees yesterday, we successfully hosted our 2011 Cabrini Connections' Golf Benefit at the Highland Park Country Club. 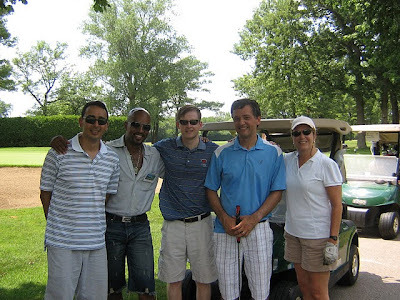 This is an annual event hosted by the organization to not only raise funds for the organization, but to also provide an opportunity for participants to network, advocate for the program, celebrate program highlights, and to HAVE FUN! After the early morning registration, the participants headed inside to cool down and to have some lunch before the shotgun start at 1pm. Around that time we had nearly 70 golfers in the carts and ready for fun in the sun on the greens. 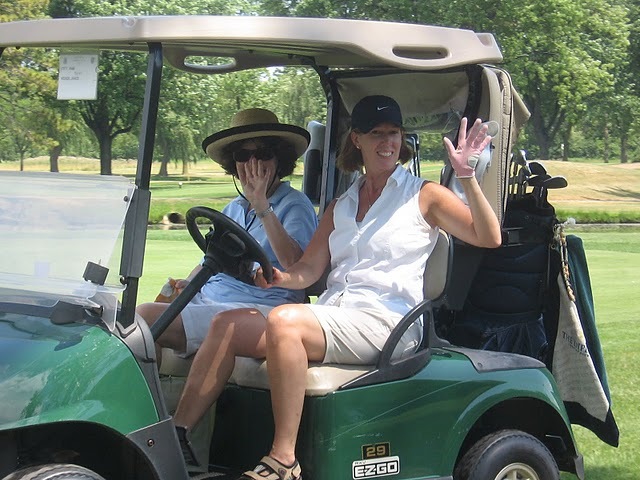 The participants enjoyed a fun filled day out on the course, all while trying to stay hydrated and out of the sun as much as possible. But even with the heat, I'd say that all that took part in the event had a GRE AT day! 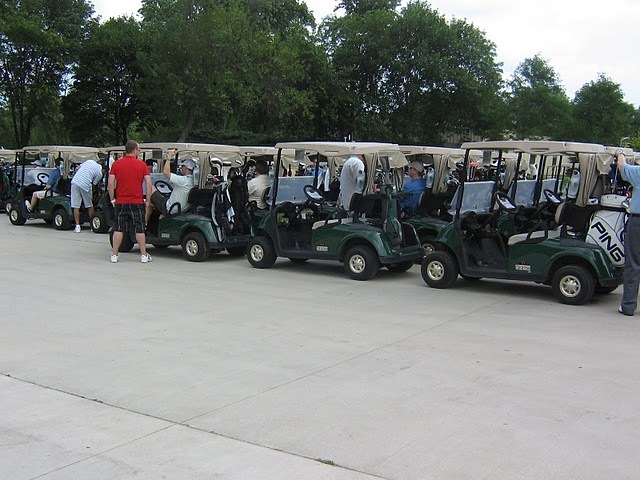 As the sun began to die down and the golfers completed their rounds, the Cabrini Connections' staff, students, and volunteers headed inside to set up for the evening events of food, drinks, and the silent auction. I think EVERYBODY enjoyed this part of the evening, especially with the air conditioning included! This is the part of the evening when everybody had an opportunity to not only cool off, but to network, hear from the Cabrini Connections' Board Members, students, and myself, as the new Executive Director of the organization. And with being in this role less than a full week of hosting the biggest fundraiser of the year, I'd say it was a success. Thanks to all of those that contributed by being sponsors, volunteering to help with the behind the scenes work the day of and the preparation leading up to the event, the GREAT staff at the Highland Park Country Club, and a VERY VERY SPECIAL THANKS to staff member Toni Pullen, the 2011 Cabrini Connections' Golf Benefit was a lot of fun. Although we did not hit the financial numbers that we had hoped for on the day of the event, we feel the actual event can and will lead to further financial support in the near and distant future. The Annual Gol f Benefit, like many of the other FUNdraising events that take place in the organization looks to hit great numbers the day of, but we hope that what takes place as a result of the actual event is what will lead to future support. Hopefully everybody that was present at the event enjoyed their experience and will find ways to not only continue supporting the organization, but will share their experiences and the program to those in their network, so they too will consider being a supporter of the organization. If YOU would like to know more about the Cabrini Connections' program please visit the website and hopefully you too will become a FAN of the Award Winning...CABRINI CONNECTIONS' PROGRAM! The Cabrini Connections' program strives to connect people to resources; students, volunteers, parents, and even donors who are looking for a program like ours to donate...we explain to them why our program is a great selection. But for us to be able to connect people to resources we need to understand the needs of students and volunteers and also the needs of the program; but we also have to be able to collaborate with others and access those needed resources. 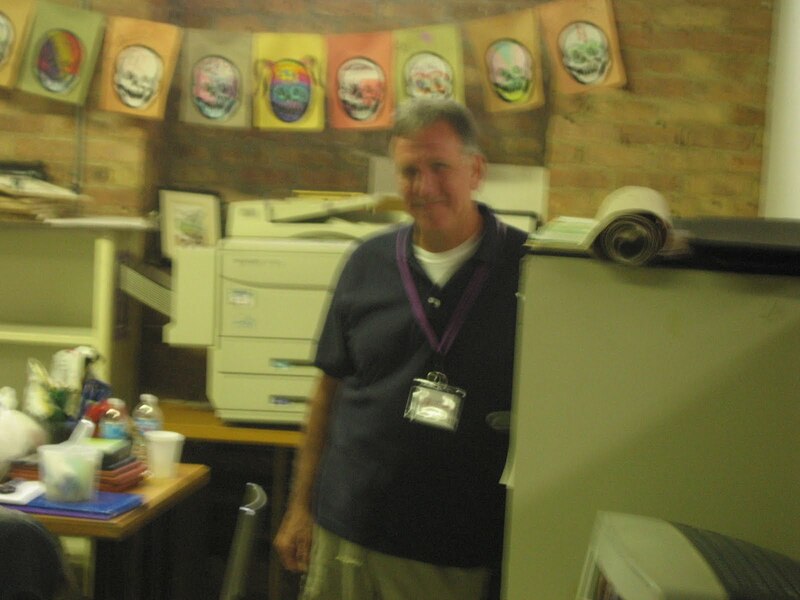 Dr. Tom Holub a professor at Edgewood College in Madison, Wisconsin has been one of the many sources of resources to the Cabrini Connections' program for 13 years now! Each summer Dr. Holub and a number of his graduate students visit the program for 3 days for what we call "The Edgewood College Experience!" This was another successful installment of that experience. We had a great group of Edgewood visitors, an outstanding group of Cabrini Connections' students, and just an overall great activity for the Cabrini Connections' program. What made this year different was the leadership that three of our most recent student alumni provided. 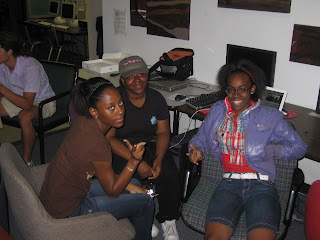 Imann Mitchell, Cierria Tharpe, and Kanah Bradley are three of our 2011 graduates and not only signed up to participate in the experience this year, but they also served as student leaders assisting the Edgewood guests and working with the younger Cabrini Connections' students. These student leaders did a GREAT job! Hopefully this opportunity will be the start of a lifelong relationship between the students of Cabrini Connections and the group from Edgewood. We hope that not only does the Edgewood students aim to remain connected to the students, but we also hope they will continue to try to assist the overall program by connecting us to resources they may know of. This could come in the form of new volunteers in the program, funding that our program could use, or as simple as more and more people reading and becoming a fan of the work that we do so they can possibly connect us to future resources. With our biggest FUNdraisor of the year taking place on Thursday of next week, annual golf benefit, the Edgewood College visitors could possibly participate as golfers, attend the dinner, or take advantage of the online bidding opportunity! 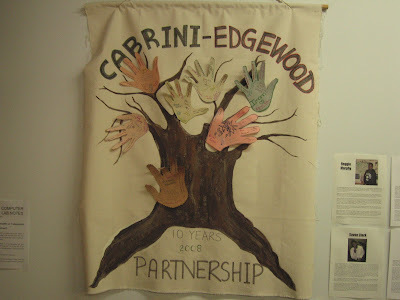 Again, connecting people to resources is what we aim to do and we definitely want to thank Tom Holub and the 2011 Edgewood College visitors for being one of those resources for our students of the Cabrini Connections' program! To submit a story for our blog, please use this form.